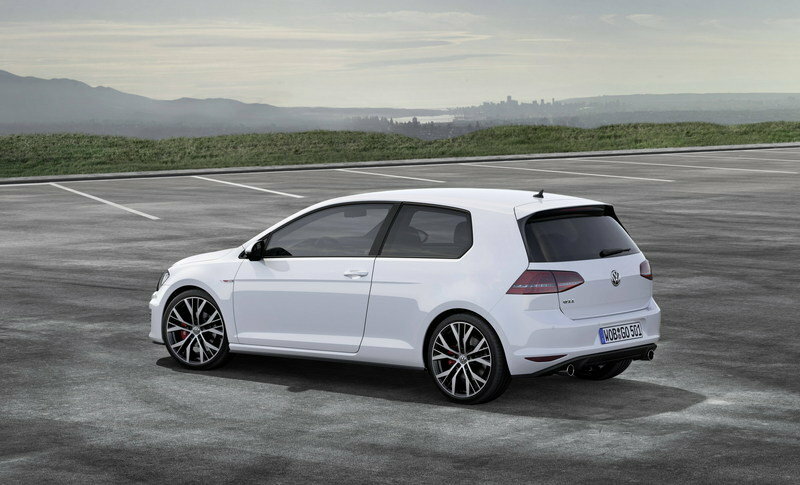 Volkswagen has unveiled all of the juicy bits for the 2015 Volkswagen Golf GTI. Suffice to say, the MK VII Golf GTI has the refined power we all look for in a sports hatchback. The 2015 model not only has that in spades, thanks to a 2.0-liter, turbocharged, I-4 engine that packs 210 horsepower and 258 pound-feet of torque, but it also has a lot of standard and optional features to choose from. Even better, Volkswagen is set to offer a Performance Package for the Golf GTI later in the year. This package is expected to include larger brakes, a torque-sensing electronically-controlled limited-slip differential, and a 10 horsepower boost over the regular GTI, all for just $1,495. The Dynamic Chassis Control (DCC) adaptive damping system will also be available later in the 2015 model year on the SE and Autobahn models with the Performance Package. 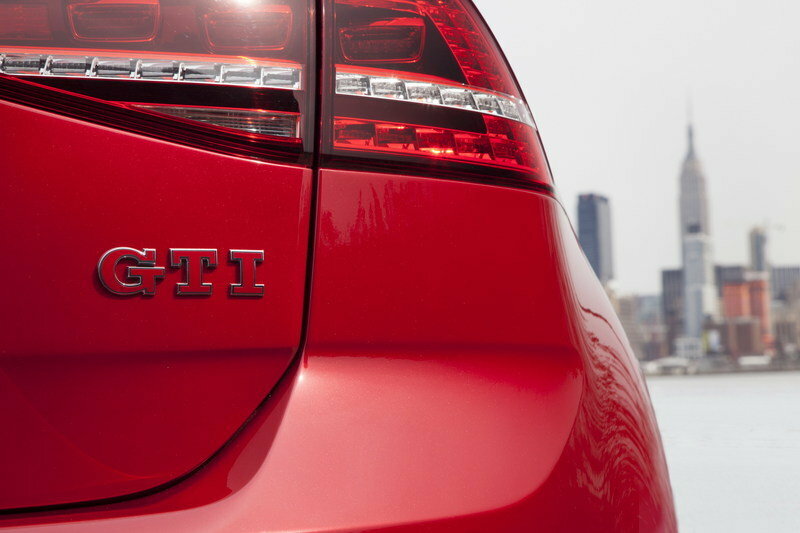 Needless to say, there’s a lot to be giddy about with the 2015 Golf GTI and we won’t blame you for feeling the same way. 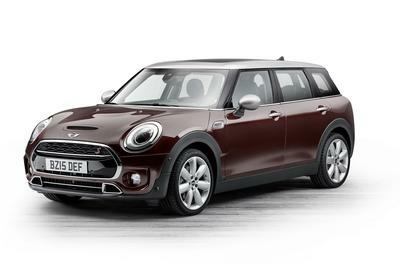 You're not likely to see it, but the 2015 model is 2.2 inches longer and 0.5 inches wider than the current model. Here’s another case of a car whose changes are so subtle it’s going to take some detective work to notice what they are. In the case of the 2015 Golf GTI, the most useful change on the exterior of the car lies in its dimensions. You’re not likely to see it, but the 2015 model is 2.2 inches longer and 0.5 inches wider than the current model. 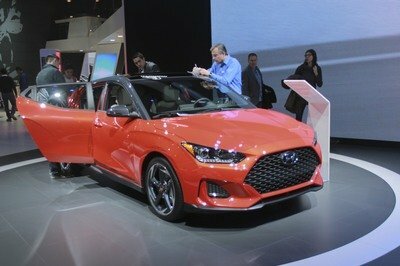 It’s also closer to the ground by 1.1 inches and even with just a small drop in ground clearance, that already signifies improvements in the hot hatch’s aerodynamic performance. 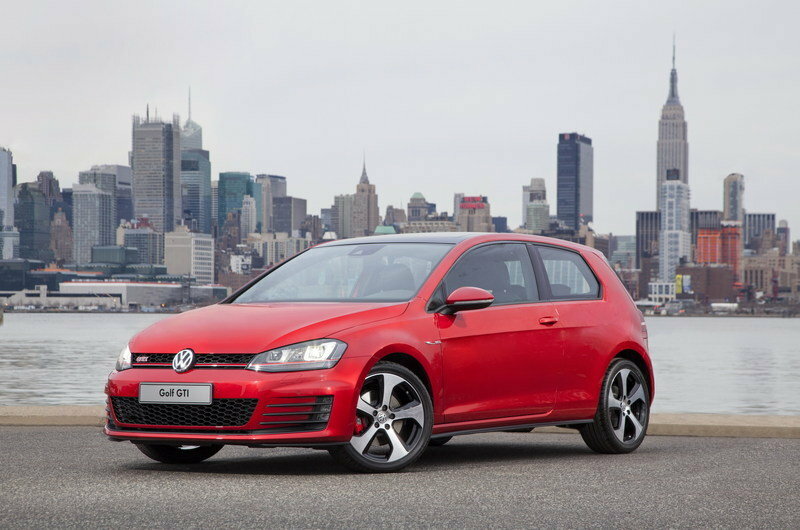 Other than being a shade bigger than the current model, the 2015 Golf GTI retains most of its looks. Little splashes of change are there, but that’s depending on the trim. The Golf GTI S, for example, has a Lighting Package is available that adds bi-xenon headlights with LED daytime running lights and the Adaptive Front-lighting System. Volkswagen’s visual and tactile performance on dressing up the interior of the Golf GTI has always been something the company can be proud of. 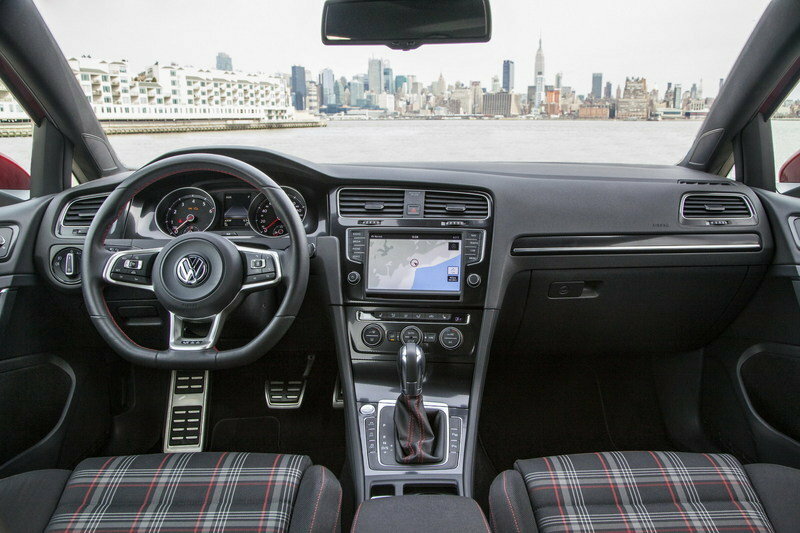 Though changes to the 2015 model aren’t that significant, you can still tell that VW designers and engineers used equal doses of style and function on the GTI’s interior. A leather-wrapped multifunction steering wheel is one of the biggest additions to the interior of the 2015 Golf GTI but it’s far from the only new thing in the cabin. Ambient and footwell lighting with LED reading lights have also been installed while the model’s already impressive tech features received new digs in the form of a new touchscreen radio, VW’s Car-Net connected services, and a new Media Device Interface (MDI) with iPod integration. You also stand to get a host of new standard features depending on the Golf GTI trim. 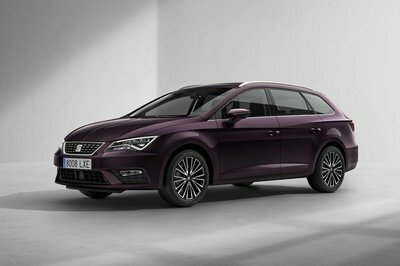 The base S model has heatable front seats; cloth sport seats with heritage GTI design; and a new driving mode selection feature. Move on up to the GTI SE and the features will also increase to include a power tilt and slide sunroof; Keyless access with push-button start; a rearview camera; automatic headlights; rain-sensing windshield wipers; the Fender® Premium Audio System; and leather seating surfaces. And finally, the GTI Autobahn will net you all the standard features from the GTI SE model to go with navigation, a 12-way power driver’s seat, and automatic air conditioning. Those numbers represent a 10-horsepower and 51-pound-feet of torque improvement from the 2014 model. All versions of the 2015 Golf GTI will carry a Volkswagen’s EA888 2.0-liter turbocharged four-cylinder engine that produces 210 horsepower and 258 pound-feet of torque. Those numbers represent a 10-horsepower and 51-pound-feet of torque improvement from the 2014 model. With that improvement also comes better performance numbers, which translates to a 0-60 mph time of about 6.3 seconds with the DSG transmission to go with a top speed of 155 mph. Standard for all models is a six-speed manual transmission, although you can upgrade to a six-speed dual-clutch gearbox if you wish. 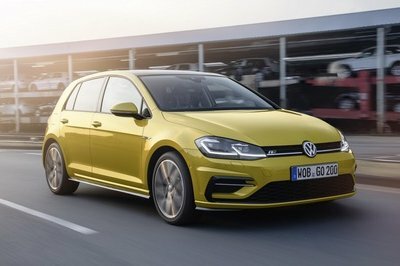 Three different trim levels are being offered for the Volkswagen Golf. 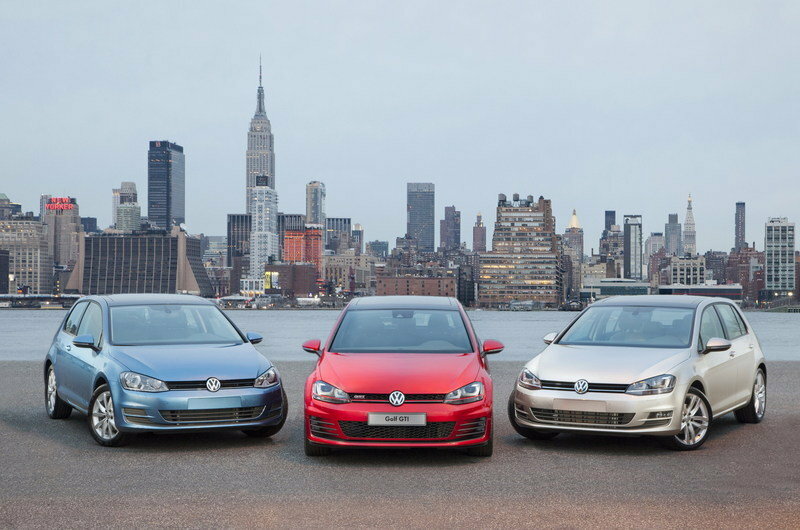 The cheapest of the three is the Golf S, which retails for $24,395. That’s followed by the Golf GTI SE and its $27,395 price tag. 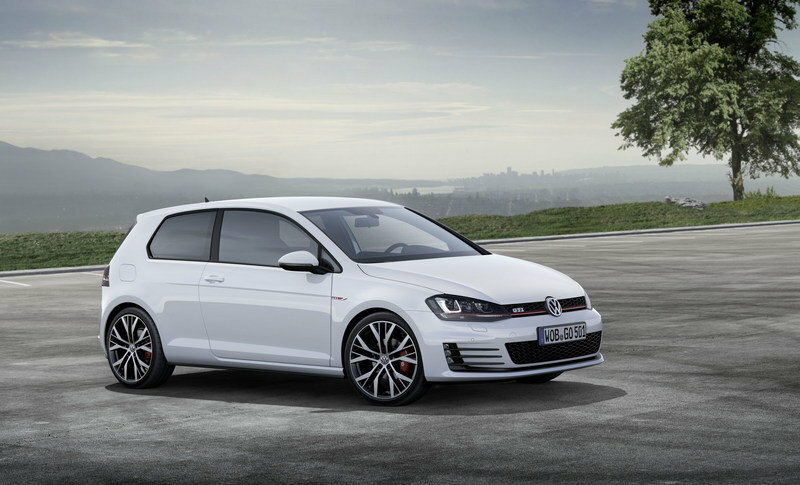 Finally, the top-of-the-line Golf GTI Autobahn will set you back $29,595. Hot hatches have become popular cars in the U.S. these days and there are no shortage of models vying to be the best of the bunch. The Golf GTI is a notable contender to that title, but so is the Ford Focus ST, which in itself is a pint-sized terror on the road. The current Focus ST hasn’t caught on with the new styling of the 2015 Focus, but we’re not going to hold that against it. After all, you’re buying the ST largely because of its 252-horsepower and 270-pound-feet of torque output, not because it still doesn’t have that Aston Martin-like front grille. Besides, it’s hard to complain when you have a certified pocket rocket in your hands, one that’s capable of outpacing the Golf GTI, thanks to its 0-to-60 mph time of just 5.9 seconds and its 154-mph top speed. There’s also that issue of price, something the Focus ST is proud to wave its (slightly) cheaper base price of $24,115 compared to the Golf GTI. While we’re admittedly big fans of the Mazdaspeed3, we also acknowledge that aesthetic changes are long overdue. Granted, the rest of the Mazda3 line has adopted its new design language, making the car look less like a smiling child on a sugar high and more of the menacing monster it was meant to be. 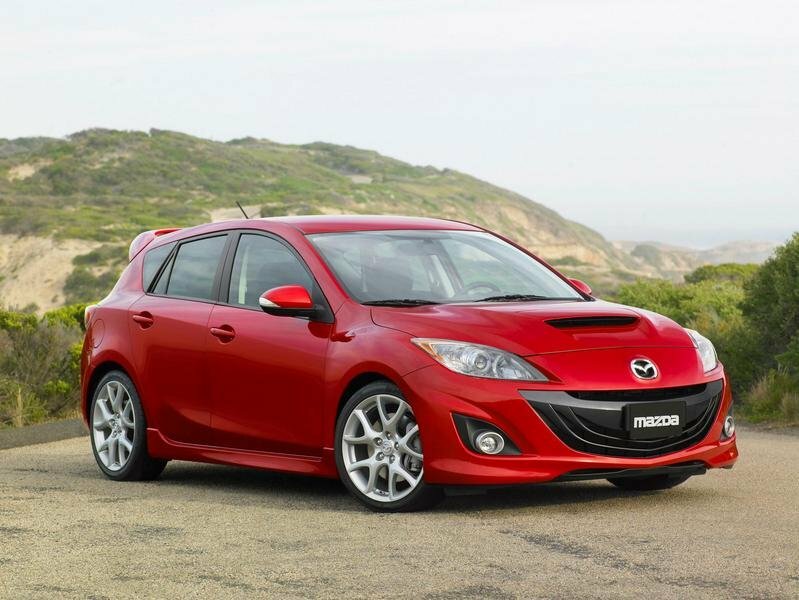 So we’re expecting Mazda to give the new Mazdaspeed3 a similar design change down the road. For now, we can at least take comfort knowing that the car still possesses one of the most powerful engines in its segment: a 2.3-liter four-cylinder MZR DISI Turbo engine that produces a total output of 263 horsepower and 280 pound-feet of torque. That alone gives the Mazdaspeed3 credibility, although it would look even better for the Japanese hot hatch if it had a new face to go along with it. We love the Volkswagen Golf GTI. It’s styled appropriately to fit its image as powerful hot hatch. The interior, while a little too cramped to our liking, is as impressively designed as any hatch in its market. Most importantly, it’s got a powerful engine with impressive output numbers. It’s not the most powerful in its class, but impressive enough to check off our requirements for a hot hatch. The seventh-generation Volkswagen Golf GTI manages to do the seemingly impossible. 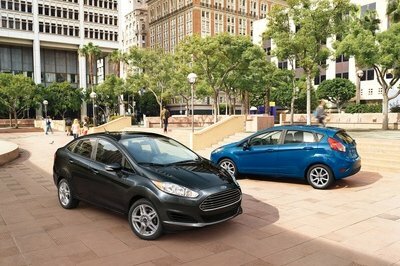 While it’s bigger and more spacious than the car that it will replace, it’s also lighter and more fuel- efficient. Volkswagen is predicting that the EPA estimated highway fuel economy rating will improve by three miles per gallon, to 34 mpg, for the model equipped with the manual transmission. 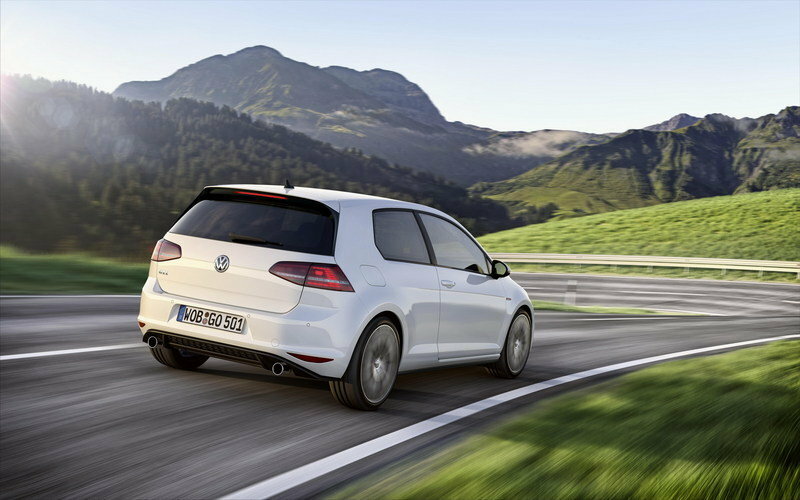 Based on the new MQB (modular transverse matrix) architecture, the 2015 Golf GTI ends the cycle whereby new versions of a car end up heavier than the models they replace. The Golf GTI S features the following standard equipment: 210-hp 2.0-liter TSI engine; 18-inch aluminum-alloy wheels; Bluetooth® connectivity; a touchscreen radio; Sirius XM® Satellite radio; a Media Device Interface (MDI) with iPod® integration; a leather- wrapped multifunction steering wheel, handbrake, and shifter knob; VW Car-Net® connected services; ambient and footwell lighting with LED reading lights; cloth sport seats with heritage GTI design; LED foglights; heatable front seats; and a new driving mode selection feature. The two-door GTI S with a manual transmission is priced from $24,395.